Supreme Court today issued notice to the Maharashtra Government and Centre on an Appeal which challenged the May 7, 2016 Judgment of the Bombay High Court that allowed possession and consumption of beef brought into Maharashtra from outside the State. A bench of justice A K Sikri and justice D Y Chandrachud was acting on the plea was filed by the organization Akhil Bharat Krishi Goseva Sangh which was also a party in the High Court. The High Court had upheld the Maharashtra government’s ban on slaughter of beef in the state under the Maharashtra Animal Preservation Act, 1978. while allowing people to consume beef imported from other states, observing that a ban on imported beef would be “an infringement of right of privacy, which is a fundamental right”. 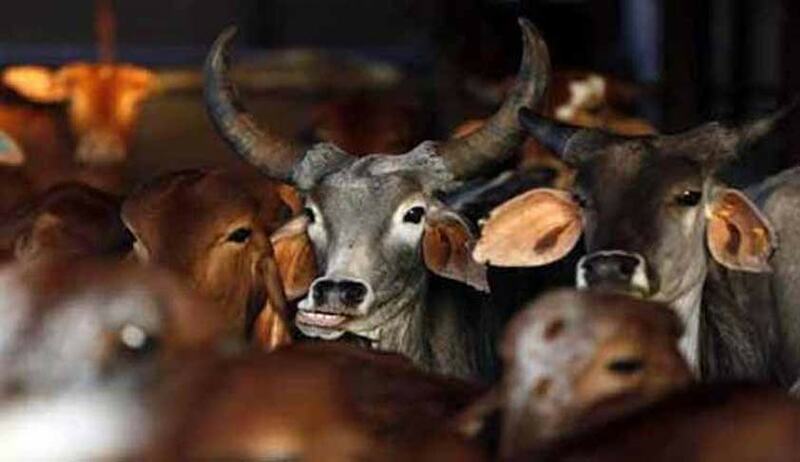 Bench of Justice A S Oka and Justice S C Gupte of the Bombay High Court had said that section 5 (d)-prohibition of possession of beef from outside the state contravenes a person’s right to privacy. It had also struck down section 9 (b) which provided one-year imprisonment and a fine of Rs 20,000 for those possessing beef calling it unconstitutional as it violated a person’s right to live. It is to be noted that the bench had said the objective of the ban was to protect the cow and its progeny, not to prevent citizens from eating beef that may be brought from a state or a country where there is no prohibition on cow slaughter. The state had unsuccessfully argued that striking down these provisions will make it difficult to implement the beef ban, in place since March last year. It had argued that “other provisions cannot exist without 5D (possession of meat slaughtered from outside the state)”. The 2015 amendment to the 1976 law envisaged preventing not only slaughter but also consumption. The High Court was hearing a set of petitions that challenged section 5 (a) of the Act which prohibits transport or export of cows, bulls or bullocks for slaughter, and similar prohibitions contained in section 5 (b) (sale, purchase, distribution in any other manner of cows, bulls and bullocks), section 5 (c) (possession of the flesh of cows, bulls or bullocks), section 5 (d) (possession of flesh from outside the State) and section 9 which empowers police to search and seize cattle suspected to be taken for slaughter and also penalise with imprisonment and fine. The court upheld the power of a competent authority to enter, stop and search any vehicle used for the export of cow, bull or bullock and seize it. The court also upheld the provision that no prohibited animal can be transported for slaughter or with the knowledge or likelihood of it being slaughtered and the ban on purchase, sale or disposal of flesh.